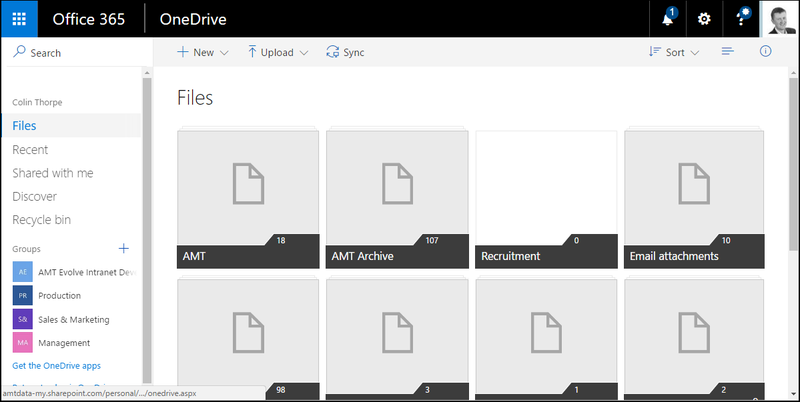 BlogHome » News » News » 60 Second Briefing – What is OneDrive for Business? OneDrive for Business is part of Office 365. 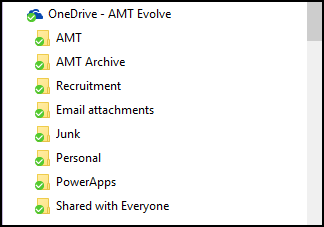 If you are using Office 365 for work, OneDrive for Business is where you store personal documents that you are working on.It is very similar to OneDrive, which you might have if you use Hotmail. Any files that you drop into this folder will be automatically uploaded to the cloud, and you will be able to access them from any device – your iPad, Phone, Home PC for storage etc. By storing your files in OneDrive for Business, it becomes much easier to share them with your colleagues. Instead of sending attachments and asking people to make changes and email them to you, you can send them a link to the actual file. They can read it, or edit it directly (if you choose), saving you the job of copying updates from several people into one document. You can also be sure that everybody is seeing the latest version of the document. 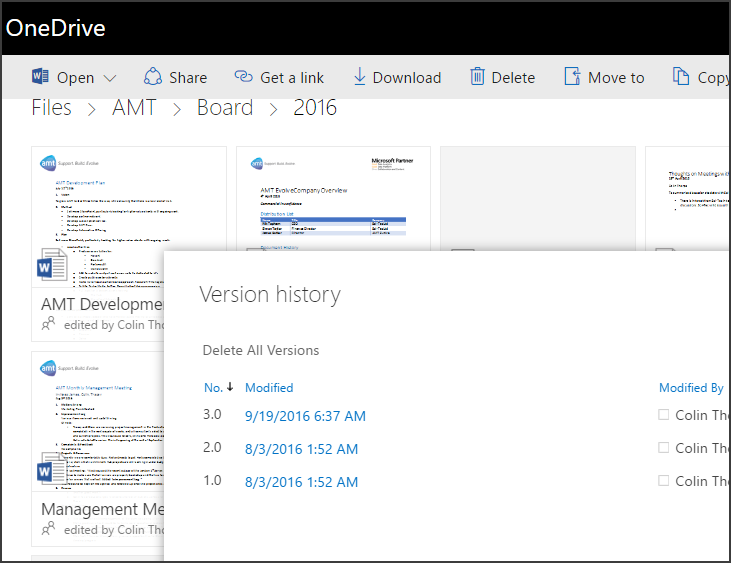 And if things go wrong, Office 365 saves all of the document’s previous versions, so you can roll it back to any point. Click here for more information from Microsoft’s website.Find out more about our Office 365 consultancy services. previous post: 60 Second Briefing – What is OneDrive? next post: 60 Second Briefing – What are Office 365 Web Apps?